Microsoft’s new CEO comes with a fresh deal with Foursquare, boosting the young mobile app company and creating stronger ties between the companies. The two had been growing close, and there were talks last year of Microsoft even buying Foursquare, according to sources. That was before New York-based Foursquare and its CEO, Dennis Crowley, secured new venture capital late last year. In December, it raised $35 million, bringing its total funding to more than $100 million since 2009. Still, longtime investors refrained from contributing, and the valuation—$650 million, according to The Wall Street Journal—was less than it was two years prior. Foursquare was once valued at about $750 million, but its revenue was too low to justify any higher valuation, according to a source. Foursquare generated between $10 million and $15 million in revenue last year, this source said. Microsoft may have been more inclined to buy the company if the valuation were lower. “They invested instead,” the source said. Today, Microsoft piled in with $15 million and signed a licensing deal to use Foursquare’s location-based data. “Microsoft is licensing our places database for use in their products and services,” Foursquare said in its announcement today. These types of deals are seen as the key for Foursquare to evolve beyond a consumer-facing, location and recommendations-based app. “This is a big play for them to be more of a platform than a destination,” the source said. Also today, Microsoft introduced Steve Ballmer’s replacement: new CEO Satya Nadella, a 22-year veteran of the company most recently heading the cloud and enterprise division. Bill Gates also stepped down as chairman of the board, replaced by board member John Thompson. 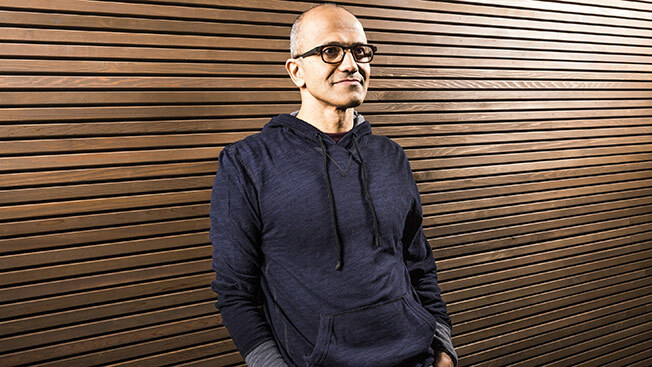 Nadella's prints are all over the Foursquare deal because the technology falls under his area of expertise. He also helped integrate Skype when Microsoft bought that company in 2012.